LAMB offers a continuum of services and employs the data driven model of Response to Intervention (RtI) to ensure that all students make progress according to their developmental stage and individual learning goals. 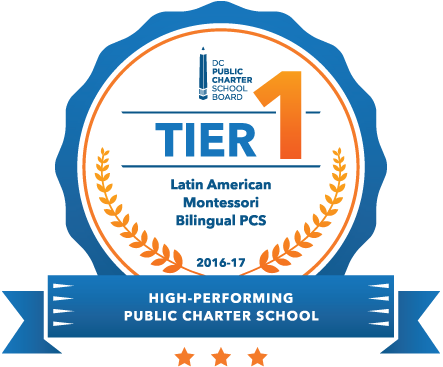 LAMB’s core educational program – Dual Language Immersion Montessori – provides the foundation for all student learning at LAMB. LAMB initiates a Student Support Team (SST) Plan when classroom observations, student work samples, standardized test data, behavioral data, and/or a parent request indicates that a student needs additional intervention and support in order to reach his or her highest potential. Through the SST process, teachers, parents, administrators, counselors, students, and support staff work collaboratively to address student needs. For students identified with a disability, LAMB offers a Special Education program that addresses the goals and accommodations indicated on the student’s Individualized Education Plan (IEP). Both inclusion and pull-out Special Education services are offered to LAMB students in accordance with their IEPs. LAMB has bilingual Special Education teachers who work with students with disabilities at both campuses. Additionally, students with IEPs who qualify for Speech Therapy, Occupational Therapy, or Mental Health services receive these through our bilingual providers.